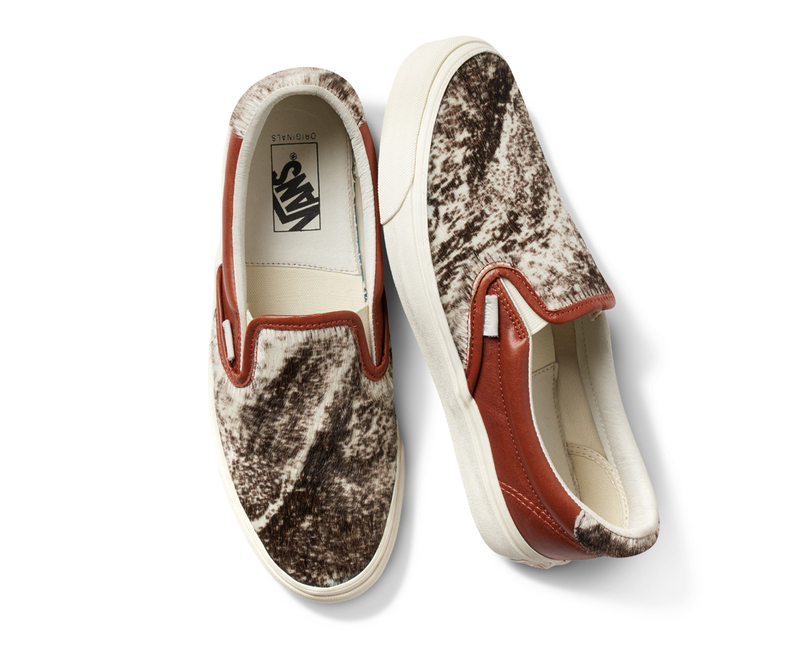 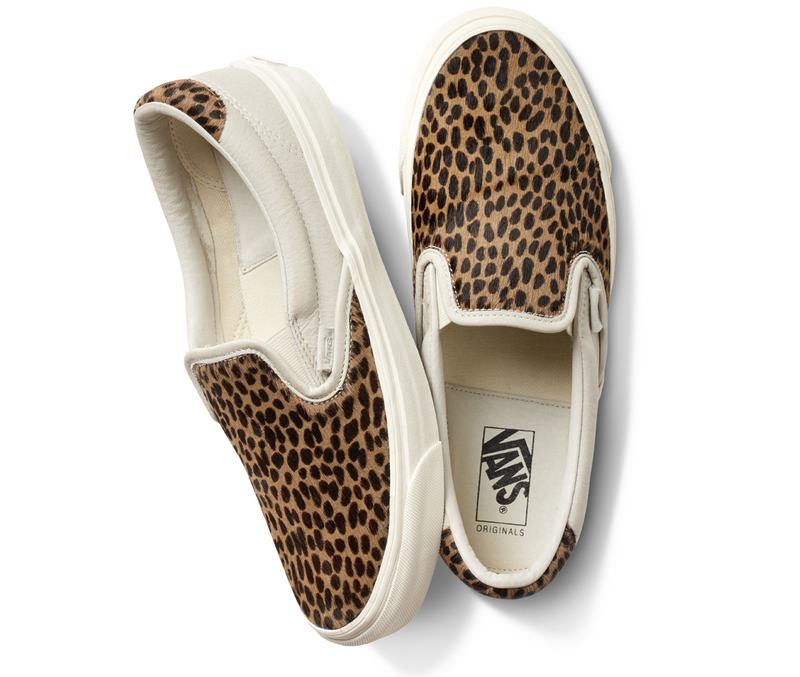 Chances are Vans won't be using actual zebra or leopard fur on their sneakers anytime soon, but that won't stop them from putting on with those kind of patterns via pony hair. 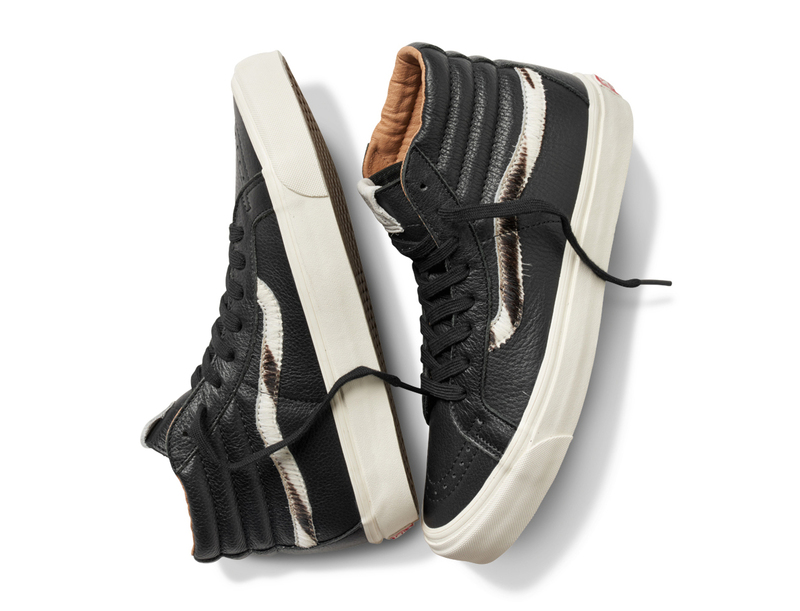 The brand's latest collection of beastly shoes uses varying degrees of those prints across the Vans Sk8 Hi and the Vans Slip On, the former restricting the fauna to its side strip and the latter being more liberal. 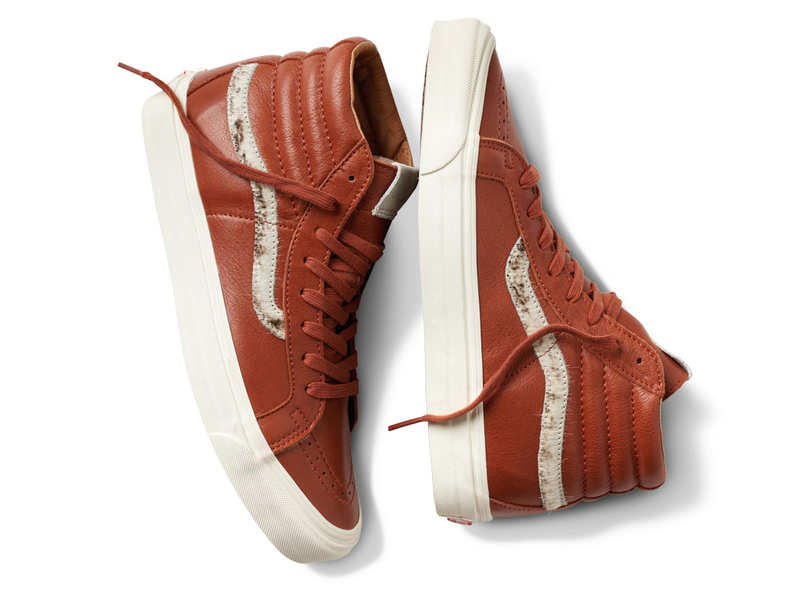 Aside from the pony hair, the shoes use leather on their uppers. 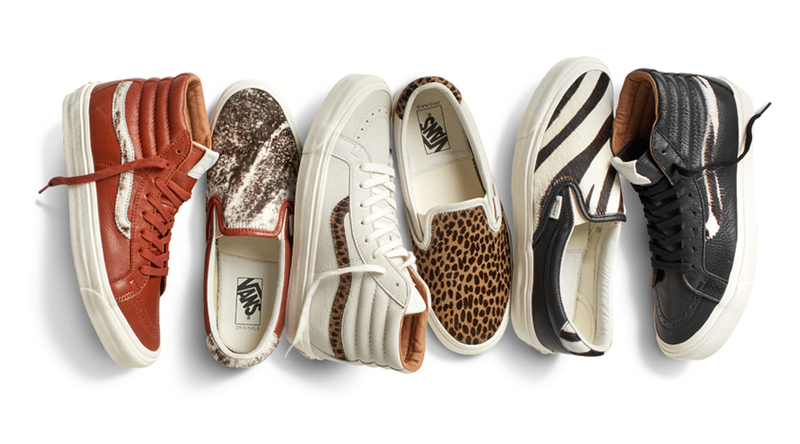 Watch for this Vans Vault collection to launch in February at boutique accounts.